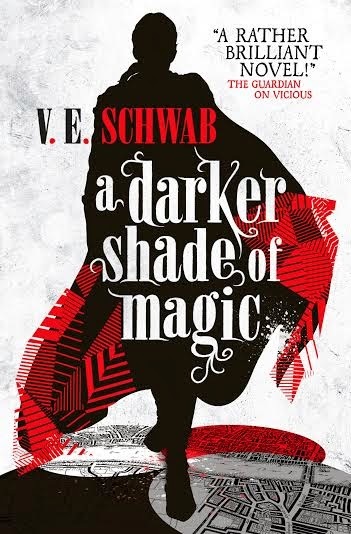 I am super excited today to be taking part in the blog tour for A Darker Shade of Magic by VE Schwab. VE Schwab is just one of those authors that I hear incredible things about. And I love the idea of A Darker Shade of Magic and I love Victoria's guest post today. I hope you do as well! --Harry August, who travels the course of his own lifetime over and over in The First Fifteen Lives of Harry August by Claire North. --Ursula Todd, who also travels her life, but in a very, very different way, with the goal of assassinating Hitler, in Life after Life by Kate Atkinson. --The Alien posing as Professor Andrew Martin, who’s come a very long way to understand humanity in The Humans by Matt Haig. --Ronan Lynch, the edgy, but wonderful member of the Raven Boys, with the ability to move between the real world and his dreams, and blur the space between, in The Dream Thieves (The Raven Cycle #2) by Maggie Stiefvater. A Darker Shade of Magic will be published by Titan Books on 27th February. That sounds like a great book. I have not read any of Schwab;s stuff yet, but I have heard good things.